Flange contains (4) 25 pin feedthroughs. 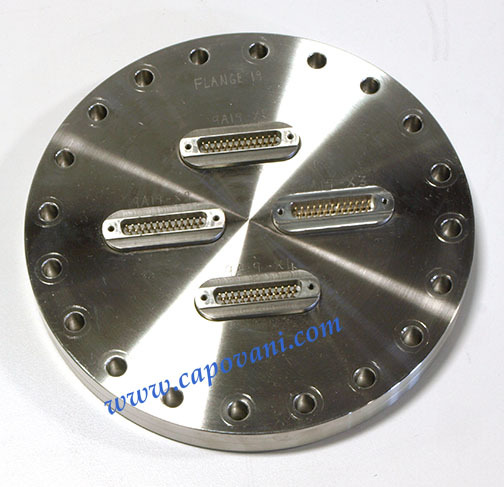 Other Information Flange contains (4) 25 pin feedthroughs. Connector plugs are not included.